Pastors & Ministry Leaders, mark your calendar! 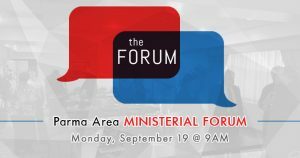 We will be holding our next Parma Area Ministerial Forum on Monday, September 19th, at 9:00 AM (Coffee and refreshments will be available at 8:30 AM). The conversation will begin by discussing what opportunities there are to help mentor youth in our community. Thank You to Our Partner Churches! 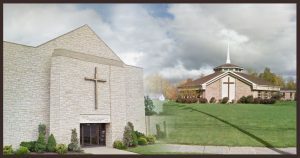 A special thanks to Pleasant Hills United Methodist Church and Bethany Lutheran Church for their upcoming help with Pay It Forward Cafe. 7800 W. Pleasant Valley Rd.